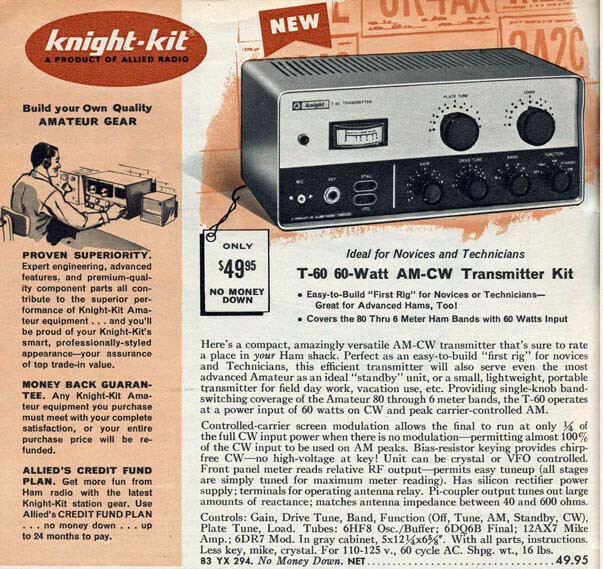 From a 1962 Allied catalog. 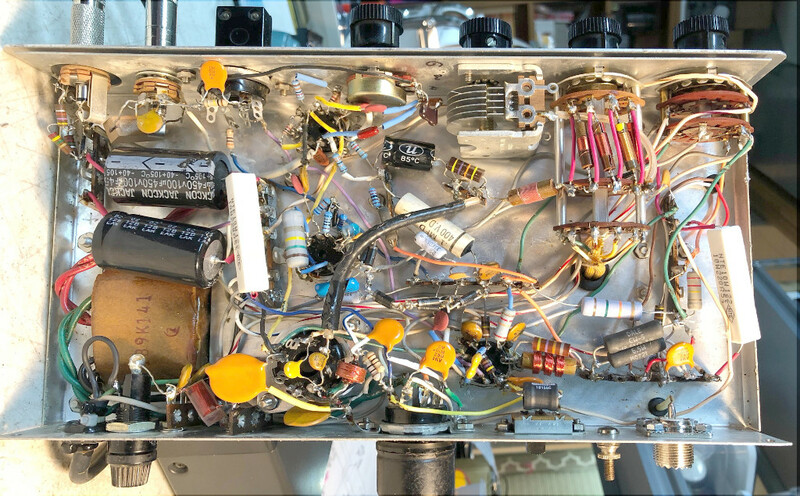 Mine came from Phil, AC0OB, who is famous for perfecting SGM (screen grid modulation) in old amateur radio equipment. 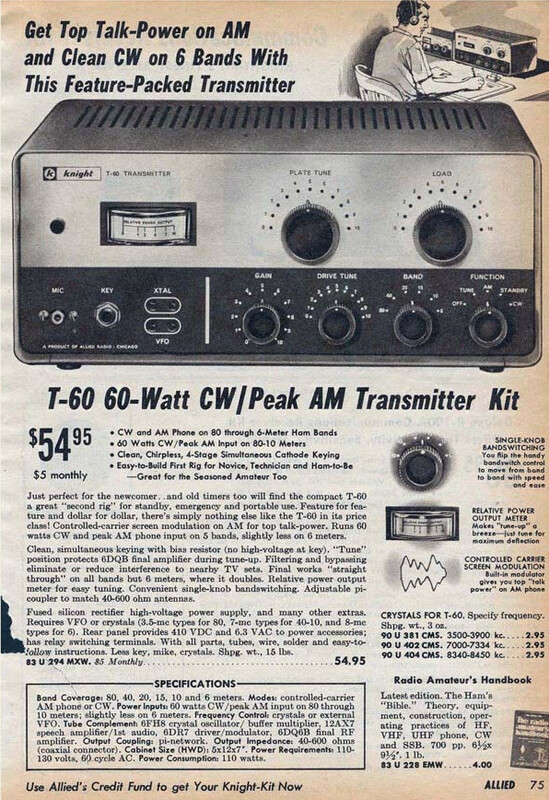 The modification of this T-60 was featured in the Electric Radio Magazine (October 2017). 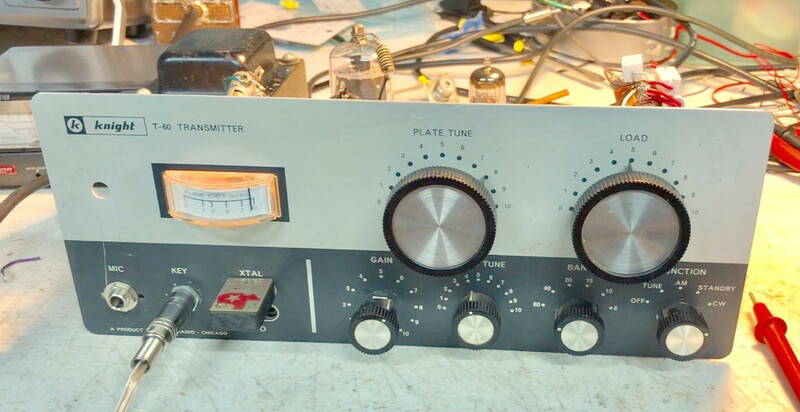 So, unlike my usual acquisitions, this transmitter was working when I received it from Phil. How refreshing! 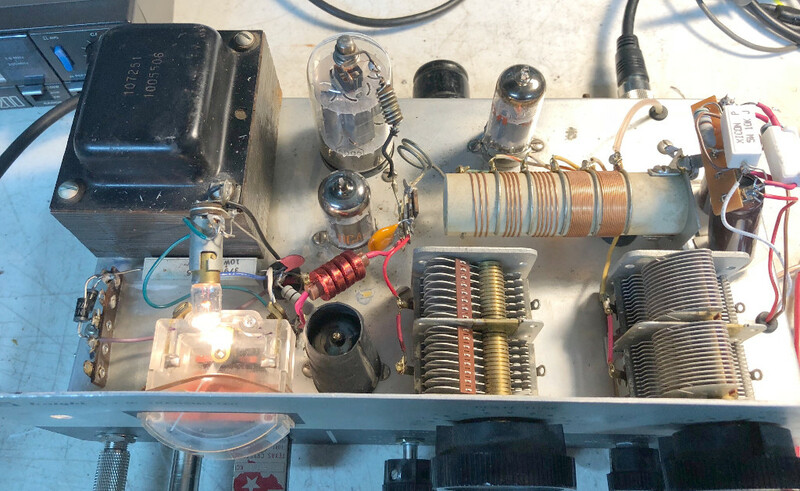 I tried my own 6DQ6A, which I pulled out of the family RCA b/w TV in the mid 1980s. 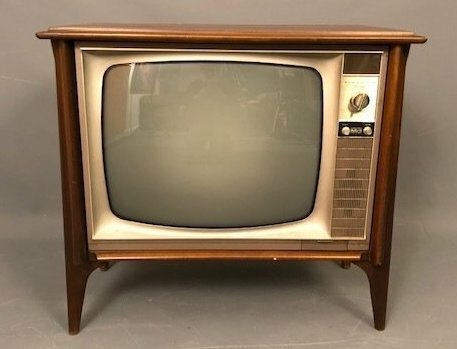 More than after 30 years, I got to use it! 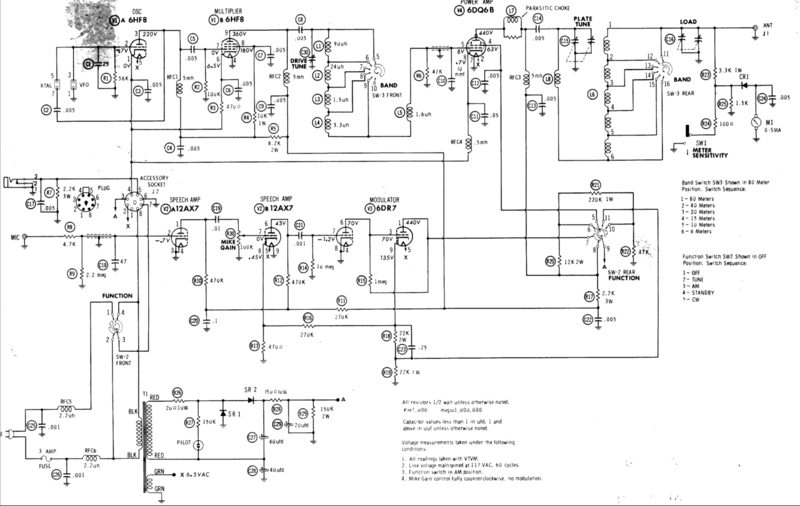 Click the schematic to see it in full size.